Asics tennis are one of the most cushioned, protective and durable shoe ranges on the market. The Gel Resolution offers fantastic support, cushioning and durability, the Solution Speed is a lighter weight version of the Gel Resolution and offers slightly less support. 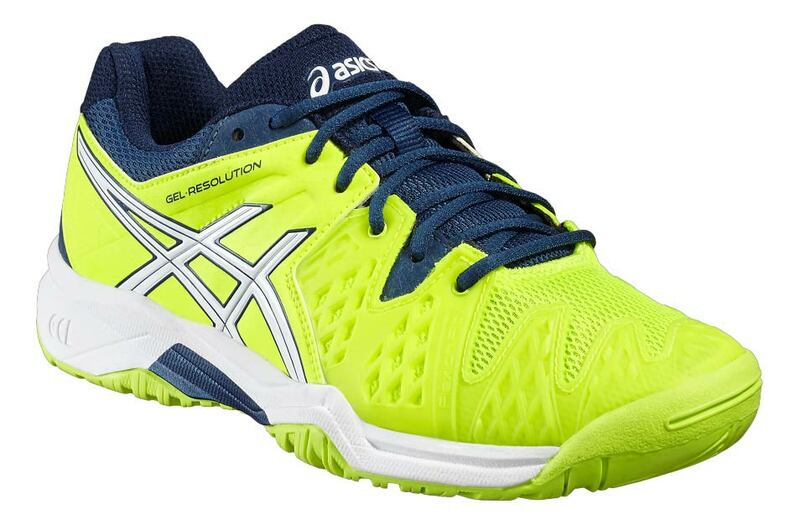 As well as these two shoes we have others available from the Asics range to suit varying court surfaces. With shoes available in mens, ladies and junior sizes Asics are a very popular choice. Pop in and see us or give us a call on 0116 2622113 to find out more about what we have in stock.